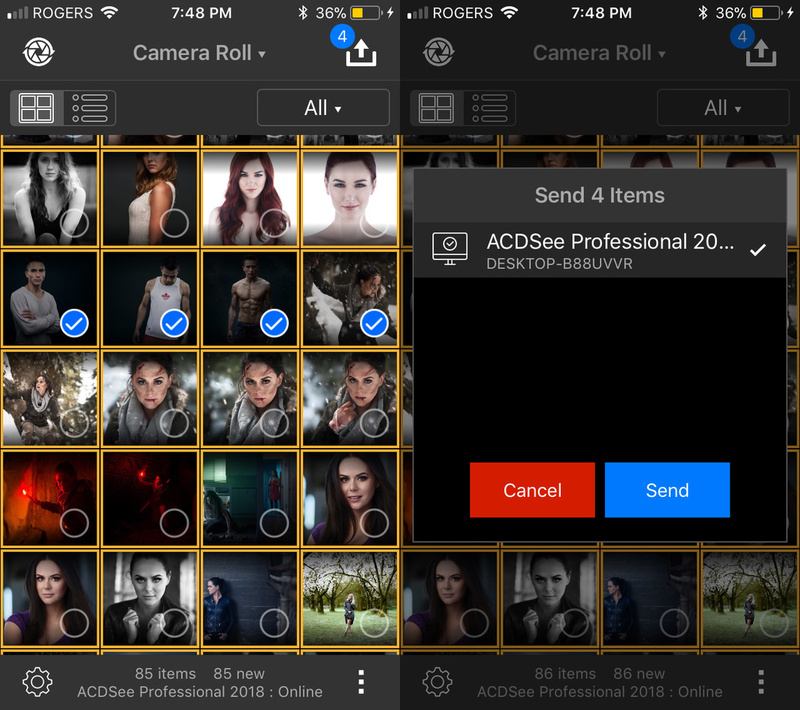 In a market saturated with mobile editing apps, ACD System's combo of ACDSee Pro and Mobile Sync for iOS stands out as one of the best options for editing your photos on the go with features ranging from quirky filters to advanced editing functionality that can provide professional results. 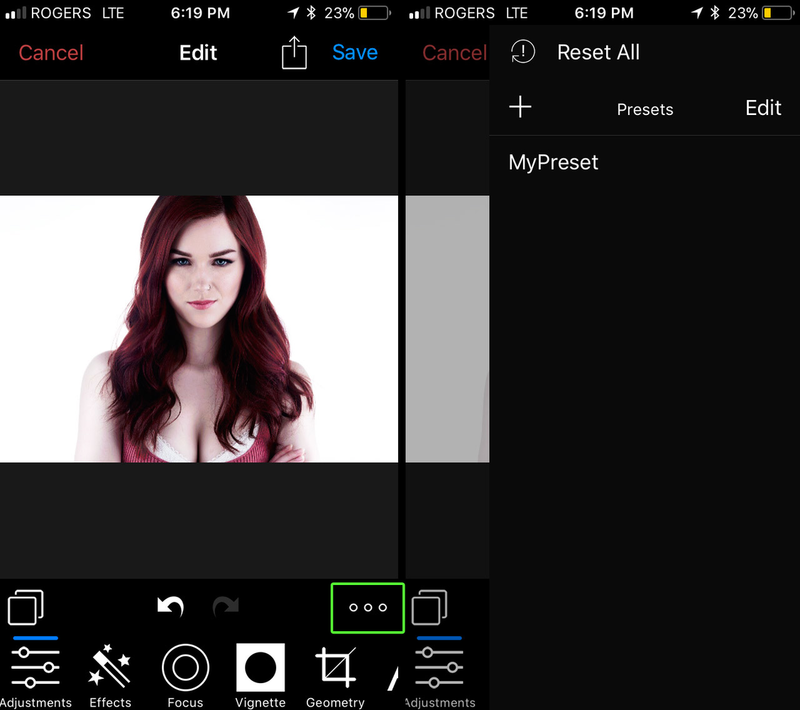 In this article, we will be taking a look at how you can leverage ACDSee's mobile tools as part of your editing workflow. The first step in using ACDSee's mobile application suite is to install both ACDSee Pro ($9.99) and ACDSee Mobile Sync (free) on your iOS device. You will also need ACDSee Photo Studio 2018 for Windows which is available in three versions depending on your needs. 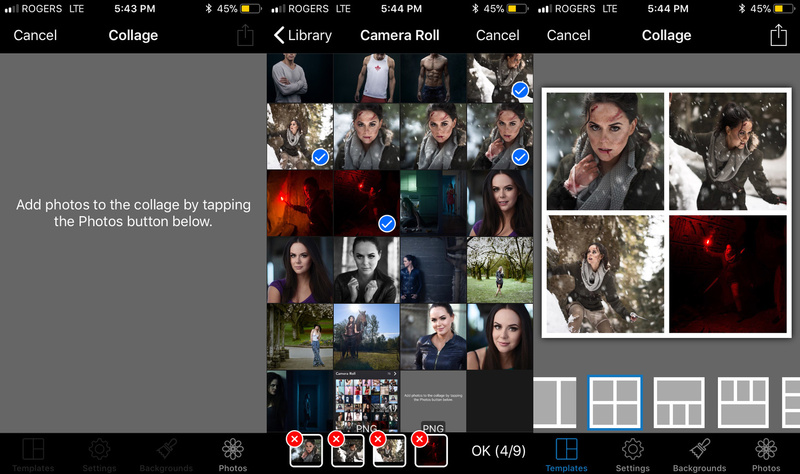 ACDSee Pro for iOS does not require the desktop studio, however, if you want to fully tap into the sync functionality provided by ACDSee Mobile sync you will need the ACDSee Photo Studio. 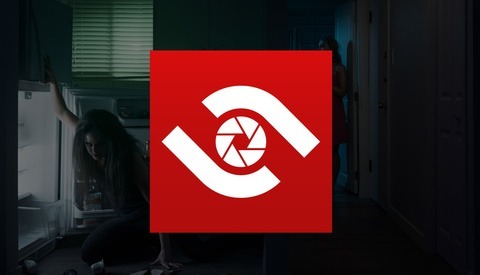 Upon opening ACDSee Pro you will be greeted with the home screen of your photo library that, by default, allows you to edit any images currently in your phone's camera roll. You also have the option of tapping on the library button to access photos from other albums on your device. 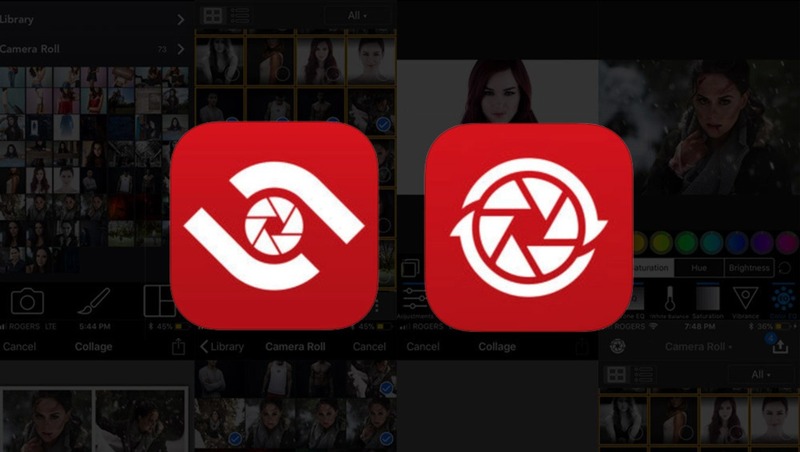 ACDSee Pro has a full-featured, advanced camera tool built right into the app if you want to use your iPhone's camera and push it beyond its normal limitations that can be found by tapping on the camera icon in the bottom left corner of the screen. ACDSee Pro contains a suite of editing tools that can be accessed by tapping on the paintbrush button on the homepage which then prompts you to select the desired image you wish to edit. Once in edit mode, a large list of potential editing tools is presented across the bottom of the screen that can be scrolled through to find the particular form of editing you desire. Virtually every common editing tool that can be expected can be found in this toolset ranging from a crop tool to sharpening and tonal adjustments. You can even find a series of fun tools that let you add things like a magnificent mustache to your photo. The most impressive power of ACDSee Pro, however, lies within the adjustment tool, which happens to contain a few advanced adjustment features that put it well above the competition. I was particularly impressed by the Tone EQ and Color EQ features which display adjustable radial spheres allowing you to easily grade your images with a level of precision that is normally reserved for advanced color grading tools in desktop applications. No great editing tool is complete without the addition of a preset tool that allows the user to consistently apply effects to a series of images in order to create a consistent look and feel to the set. 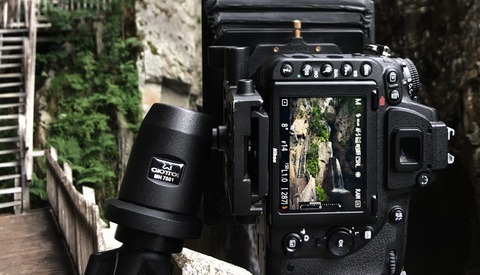 ACDSee Pro has an easy to use preset system that can be accessed by tapping on the ellipsis icon from the homepage of edit mode. A window then slides in that allows you to manage your presets or apply them to the current photo. ACDSee Pro also offers a collage tool that can be used to create simple collages of several images to be shared. In order to access the collage tool, tap on the grid icon in the bottom right corner of the library home in ACDSee Pro. Once in the collage tool, you can tap the photos button to add images to your collage. The tool then offers a myriad of layouts that you can easily customize by dragging photos within the collage itself. Along the bottom, you are given several other editing features that allow you to customize the look and feel of your collage. Once complete you can export your collage using the share button in the top right corner to save the image or share it. The collage tool allows you to create a collage containing anywhere between one and nine photos. Often you may find yourself in a situation where you need to apply an additional layer of advanced editing to a photo that can only be achieved via a full-featured desktop image editor. 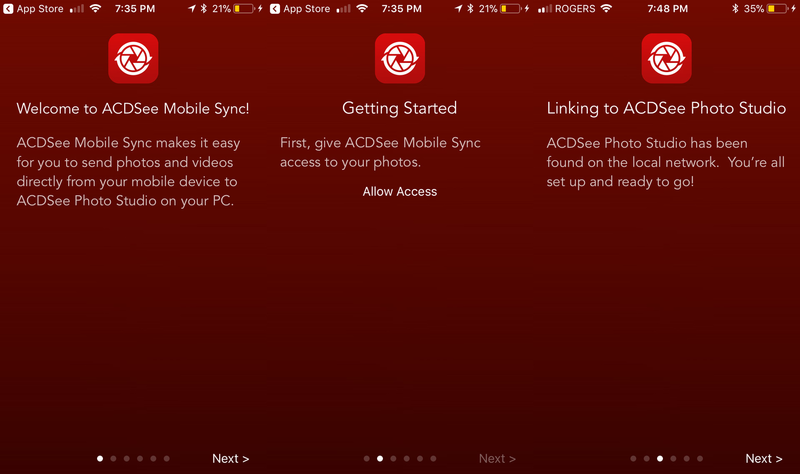 ACDSee Pro makes the process of transferring your images to the desktop quick and easy with their dedicated ACDSee Mobile Sync application for iOS. When you first launch the app make sure that you have ACDSee Photo Studio open on your Windows desktop and ensure that both your phone and computer are connected to the same network. Upon the first launch, ACDSee Mobile Sync will present you with a handy setup wizard that makes getting started easy. You will be prompted to give the application access to iOS features that it needs such as your photo album. Next, you will be prompted to link ACDSee Mobile Sync to ACDSee Photo Studio. If both the phone and computer are correctly connected to the same network the pairing should be instantaneous and not require any additional work. Once the initial setup is complete syncing your photos to ACDSee Photo Studio is incredibly easy. All you need to do is tap on the photos you wish to sync then tap on the upload button in the top right-hand corner. You will next be prompted with a window asking to choose which paired desktop application to sync to (you are able to sync to more than one desktop if desired). Once you have selected the target ACDSee Photo Studio desktop application all you need to do is hit "send" and your photos will instantly begin syncing and show up in the mobile sync section of the target ACDSee Photo Studio that you have chosen. Because the sync happens over a local network rather than requiring a sync to the cloud your images transfer very fast and won't consume any data from your cellular data plan. Once the sync is complete you are free to edit the photos as you normally would using ACDSee Studio Pro's myriad of photo editing tools. ACDSee Pro and Mobile Sync for iOS are a fantastic pair of apps that fit nicely into the ever-growing ACDSee ecosystem of editing tools. If you are looking for a new photo editing suite that provides powerful image editing across all of your favorite devices ACDSee has proven that it is has become and will continue to be a major competitor in the space. Download the free trial of ACDSee Photo Studio 2018 and give it a try. When coupled with ACDSee Pro and Mobile Sync on your iOS the ACDSee ecosystem can transform your editing workflow. Ryan is an mildly maniacal portrait/cosplay photographer from glorious Vancouver, Canada. "Getting started" [...] "for Windows". Lost me there.